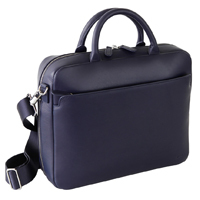 This bag with 2 handles in the Milano line has a strong international flavour, designed by Naoto Fukasawa with the sole aim of creating a simple, yet sophisticated product. 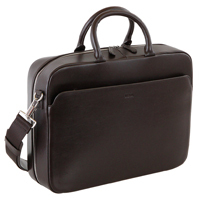 The top grain Italian leather, the interior perfectly organized to contain all your devices and work tools (MacBook Pro, iPad, iPhone, notepads) and the attention to detail creates the right combination of design, simplicity and sophistication. 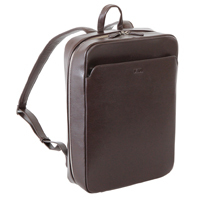 The laptop backpack of the line "Milano" is a refined and classy product. 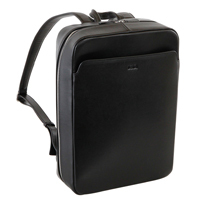 The design is clean and essential, the internal part is perfectly organized to hold laptops up to 15,6", tablets and other personal items. 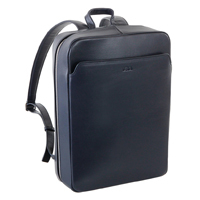 The adjustable leather shoulder straps and the front pocket make a backpack of the highest quality, made of Italian full-grain leather with zip closure and metal small parts. A real "must have" to stand out with a unique elegance. 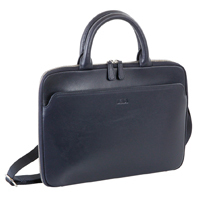 Double handle tablet and iPad case of the line "Milano" with detachable strap and front pocket to give refinement to a design product which is one of its kind. 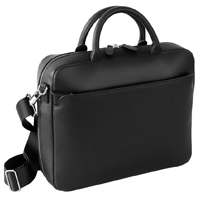 Made of Italian full-grain leather with metal small parts and internal organization with pockets for tablet and iPad up to 12,9". An essential accessory to give your outfit a touch of style.